When Disaster Hits, Are We Ready? Natural disasters like Hurricane Katrina and man-made catastrophes such as Sept. 11 were unforeseen tragedies. However, was there any evidence that could have prepared us for such events? Were there any emergency management platforms that could have mitigated these catastrophes? No matter the amount of speculation, evidence or precedents of former crises, we will never be prepared unless we understand that two things: 1) there will be future disasters and 2) we must rely on our emergency management preparedness and public safety measures. Hurricane Katrina was the deadliest and most expensive natural disaster in the United States. According to Time, the hurricane “killed almost 2,000 people, destroyed over 100,000 homes and flooded over 80 percent of the city.” The damages cost the government nearly $145 billion in providing funds for medical care, shelter and food. The states affected were not prepared in terms of infrastructure protection, adequate funding and, most importantly, emergency readiness. The economical, environmental and government effects from Katrina were faltered. Efforts to protect the southeast region were considered so poor and illogical that the director of the Federal Emergency Management Agency (FEMA) and the superintendent of Louisiana resigned. There was much criticism against government officials. The lack of emergency preparedness forced the government to develop a stronger, solidified national emergency management framework. FEMA defines emergency management as the “managerial function charged with creating the framework within which communities reduce vulnerability to hazards and cope with disasters.” Most organizations have an emergency operation plan (EOP) that is the heart of the organization’s procedures during an emergency. Not having an EOP can present extreme vulnerability to not only the organization, but also its people. Each category gives thorough dialect on what citizens are to do in case of an emergency. It is a universal plan that can be embedded in any agency, institution and even in local communities. 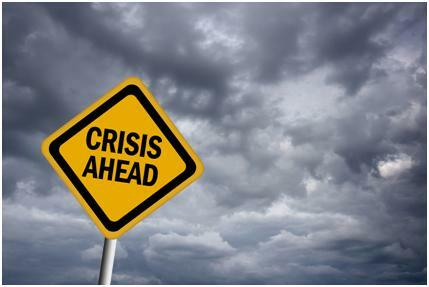 Crisis management coincides with emergency management in terms of establishing a solid structure on how to be resilient after a disaster. As mentioned, there were not any profound plans for Hurricane Katrina and Sept. 11. This forced the nation to take a deep look at how it handles national catastrophic disasters. Bruce Condit, Vice President of Allegiance Capital, stated, “A crisis can strike any company anytime, anywhere…advanced planning is the key to survival.” This is very true for not only companies, educational/religious institutions and other large infrastructures, but also communities and local key players. Citizens need to be prepared for the worse and learn how to cope in the aftermath. In order for communities to succeed and be resilient after a disaster, there are simple steps that can attain this goal. As mentioned in the Fairfax County EOP – have a plan. It is important for local communities to come together and establish clear objectives to establish an effective plan. Our most precious assets are people. Without them, we would not be able to sustain any type of crisis. The plan should include straightforward instructions on how to handle specific disasters (i.e., fire, bomb, water and man-made) and how actions would be enacted by all key players. Establish relationships and team up with emergency management organizations. From my experience in the military and working with law enforcement, it is important to have police and fire departments as part of the emergency management plan. Communities should connect with their local law enforcement and emergency management agencies to not only have a successful and clear plan, but also learn about procedures for crisis management. With this relationship, community leaders can obtain key training and potentially mitigate a major disaster. With news, social media and national television, it is easy for rumors and information to be misinterpreted. That is why communication plans are just as vital as EOPs. Resilience. As cited by the Public Broadcasting Service, resilience is the “capacity to withstand stress and catastrophe…individuals and communities are able to rebuild their lives even after devastating tragedies.” It is amazing how communities pull through after a disaster. Although it is great to support other families, it is naïve to believe this is the only source of moving on. Key leaders within the community provide programs for mental and psychological assistance, family advocacy, support groups and other necessary acts that strengthen the community as a whole. The “preparedness” and loyalty to all citizens within a community tests the power of resilience after a major disaster. Author: Dr. Monique M. Maldonado is a veteran of the U.S. Air Force, educational consultant and adjunct professor. She teaches in the department of criminal justice at Tiffin University. She is also a researcher in public policy and administration as well as national security policy and terrorism fields. For any questions or concerns, Dr. Maldonado can be reached at [email protected].